Fieldgate Homes is very proud to announce that you can now register for three new releases across the GTA. Whether you’re in search of a new home in Stouffville, Thornhill, or West Whitby, we have a great selection for you. And we still have a selection of lots available at Valleylands in West Brampton and Impressions in Kleinburg. 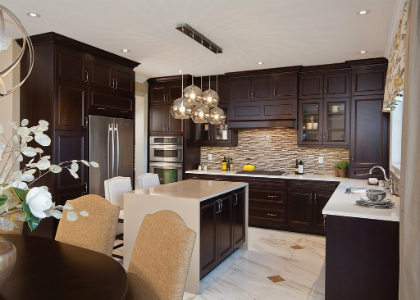 One of the most highly anticipated new home communities in Stouffville is Blue Sky. Fieldgate will soon release a wide range of singles, as well as a collection of freehold townhomes. We’ve seen tremendous success at Blue Sky in past phases, so we can’t wait for you to see our new release! Fieldgate will soon be launching a brand new community in the Thornhill Woods neighbourhood, called CityLux Towns. These luxury townhomes will be located at Dufferin and Rutherford. This is one of your final opportunities to purchase a brand new home in Thornhill Woods. We are also very excited about Whitby Meadows, our brand new community in West Whitby. When we open, we will be releasing a selection of 30’, 36’, and 42’ singles and freehold townhomes. West Whitby is known for its beautiful landscape, and Whitby Meadows is your chance to call it home! To stay updated on all of Fieldgate Homes’ new communities and releases, visit FieldgateHomes.com.